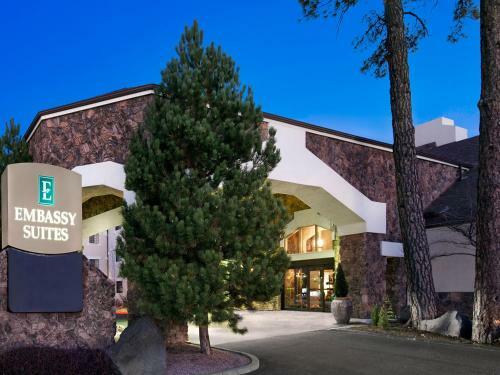 Located adjacent to Northern Arizona University, and 1 mile north of 1-17 and I-40, this Flagstaff all-suite hotel features free Wi-Fi in all guest rooms and a daily, made-to-order hot breakfast. A 42-inch flat-screen TV is featured in each suite. The premier hotel in Flagstaff, this is an all-suite property, located next door to the NAU Campus, providing luxury accommodations. Complimentary, full cook-to-order breakfast and nightly reception. Please call for reservations.